In numerology, 11 is one of those ‘magic numbers.’ There’s some serious partying happening in Rehoboth Beach tonight! 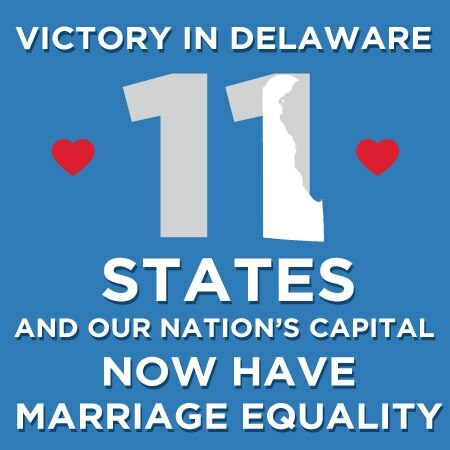 This entry was posted in Events, Gay, Legislation, LGBT, Marriage and tagged Delaware, gay, LGBT, marriage equality. Bookmark the permalink.